Bamboo is gaining popularity in the realm of outdoor living design and building. Bamboo itself has been used to create everyday objects for over 4000 years. Often being considered a scourge in a landscape, the plant we have taken for granted for so long is quickly becoming the center of attention as a durable, attractive material for interior and exterior home use. This tough material has a long life and is honored as the Chinese symbol of longevity. 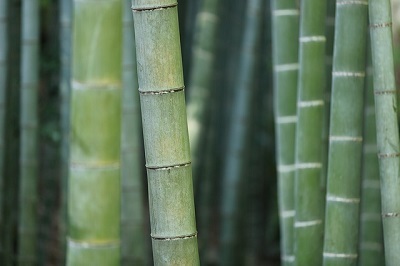 Most people try to classify bamboo as a hardwood, but it is actually a natural grass. A highly stable material, it is stronger and more durable than nearly all wood. 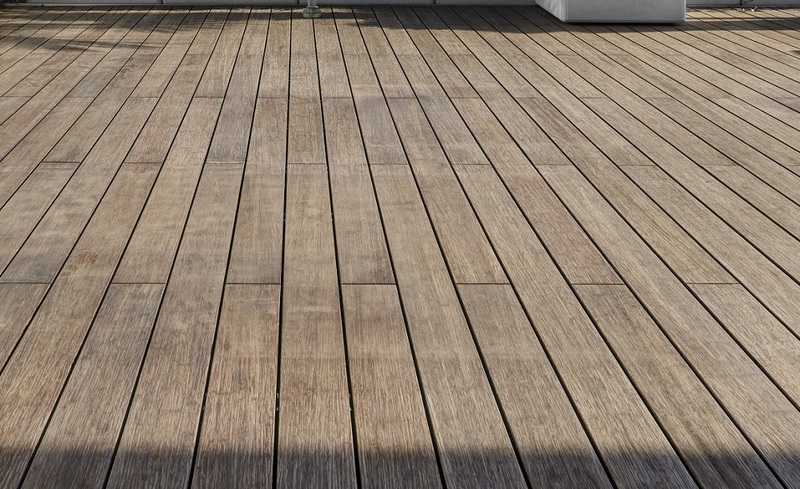 All of these desirable attributes combined with its amazing longevity make it an ideal building material for outdoor living spaces, such as decks and porches. Not to mention the luxurious and exotic aesthetic it adds to any setting. The bamboo we use at Archadeck of Central CT for building decks is stronger than most hardwoods. We buy high-quality bamboo decking boards from MOSO®, a company that specializes in carbonized, fused bamboo decking. MOSO® uses a patented process to alter the hardness, dimensional stability, fire safety and durability of their product to a level superior to the best tropical hardwood species. Bamboo decking is very resistant to all kinds of weather. This includes the wintery conditions that are common here in Central CT. 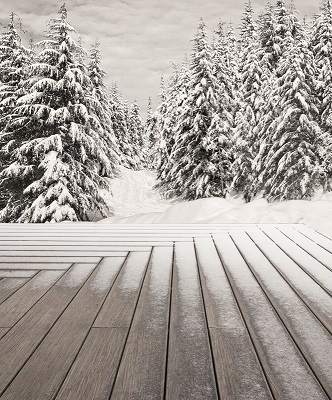 In contrast, most wooden deck boards will show the effects of weather over a period of time. For example, after each rain, wood can swell because it absorbs water, and then it shrinks as it dries out. If you’ve had a wooden deck, you know that those boards can eventually warp and twist. Some types of wood stand up to the wrath of Mother Nature better than others, but bamboo beats them all. Bamboo does not swell or contract in response to moisture. Bamboo decking has a hard exterior, and its cellular interior is flexible and elastic. As a homeowner, you can rest easy knowing your bamboo deck will stand up to whatever Mother Nature throws at it. Did we mention bamboo is beautiful? Bamboo lends an exotic flair to your outdoor living project, yet it will look right at home on your Woodbridge, Guilford, Madison or Cheshire deck or porch. Because it can be stained in a wide range of shades from light natural to dark chocolate, bamboo is a versatile exterior design element. The freedom of bamboo allows you to easily coordinate with your home’s exterior color palette. To keep its exotic appeal over the years, bamboo requires no more work than you would need to do for a hardwood deck; the actual maintenance is very similar. Last but certainly not least is the sustainability aspect of bamboo. Bamboo is environmentally friendly and sustainable. When looking at the green aspect, it is the best choice for your deck or porch. Bamboo matures in 5-7 years, so crops are replenished constantly. Most hardwood used in the US comes from South America, where deforestation is a severe problem. It takes at least 50 years to grow hardwood trees. In terms of a carbon footprint, although we think of bamboo as mainly growing in Asia, it is also grown in the United States and South America. Bamboo is resistant to insects and doesn’t require pesticides or other harmful chemicals for protection as it grows. 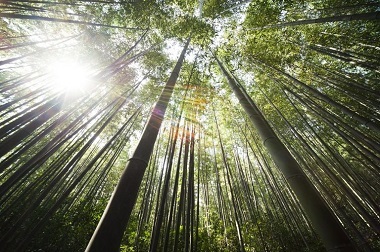 Bamboo absorbs 35% more carbon dioxide per acre than trees. (Remember: bamboo is not a tree; it is a grass). If you are considering bamboo for your new Avon, Farmington, Cheshire, Guilford or Woodbridge, CT area deck or porch, contact us to learn more about this amazing material by calling (203) 793-7142 or email us at [email protected].